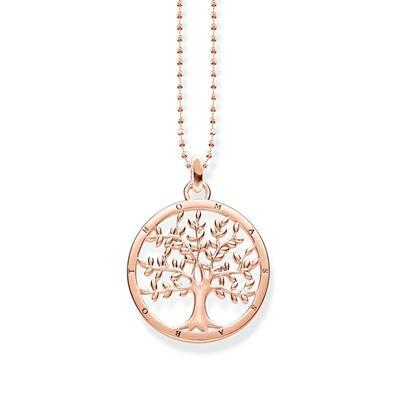 Take your family with you wherever you go with this Thomas Sabo Family Tree Necklace. A large circluar pendant with an ornate tree design in the centre. created from 18ct Rose gold plated 925 sterling silver and mounted onto an adjustable 40-45cm ball chain.